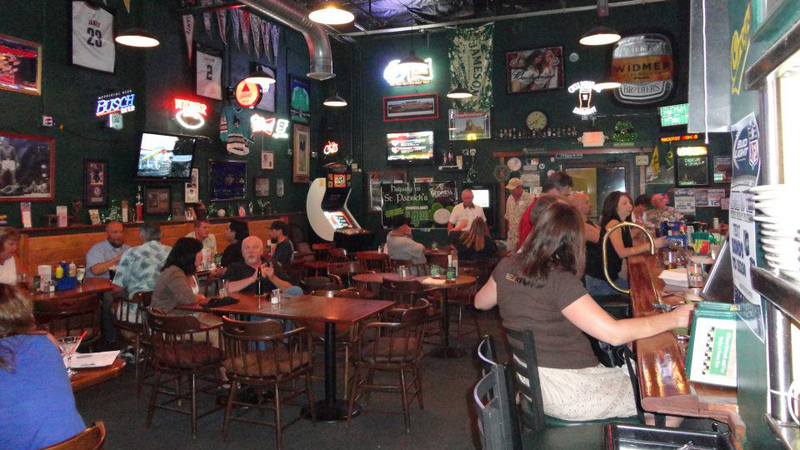 Kelly D’s Irish Sports Bar is a place where fun, food, and family meet. Founded in 2009 by the Davidson Family of Bend, Kelly D’s is hidden in a neighborhood off 3rd St. Their original goal was to come up with a different, unique concept that would appeal to both locals and the many tourists that frequent Bend, and they have gained a loyal following from a local, more mature crowd. Kelly D’s quality ingredients and fair prices appeal to many and, from the beginning, they have had little turnover in their kitchen and bar staff, and that is important to their regulars. Kelly D’s offers daily and nightly food specials featuring salads, steaks, burgers, a taco night and their clam chowder and Prime Rib Dinner on Fridays. Having your favorite team on their big screens is important so they subscribe to the Sunday Ticket, MLB, Pac-12 and the Blazer network, to mention a few. Kelly D’s offers karaoke on Wednesday and Saturday evenings and live music on Fridays along with a variety of Irish whiskies, including the Jameson’s Family of Irish Whisky, as well as Guinness on tap. They feature breakfast on Saturdays and Sundays beginning at 9:00 a.m.